The Jaclyn Hill Morphe palette first launched back in November and there is no hiding the amount of hype which surrounded its release. I am a big fan of Jaclyn Hill and her YouTube videos. I can always scroll through her videos and find a makeup look which I want to attempt to recreate. 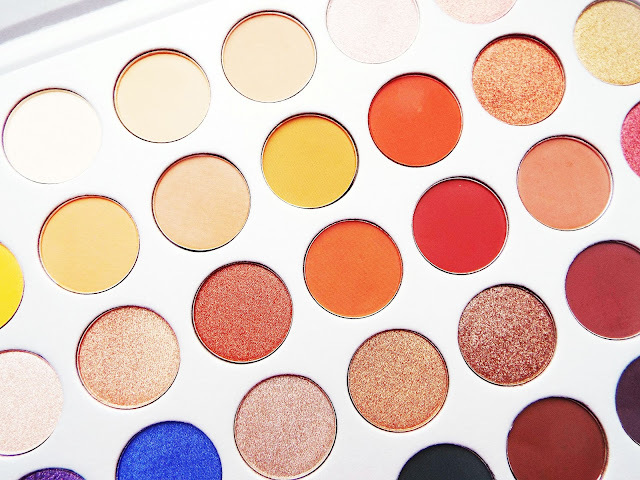 She I started watching her videos years and she has always been a champion for Morphe, and she has definitely contributed to the huge brand which is it now. When she announced a collaboration palette with Morphe, I had huge expectations for this palette. It is not hidden fact that I have been a Morphe palette lover ever since their famous 35O palette launched (post here), and took the beauty industry by storm. They recently brought out a 35O2 palette and I love it, I wrote a full dedicated post to it which you can read here. I have had this palette for three months now, so I have definitely put it to the test. The palette comes in a white cardboard case, which looks nice but it gets very dirty and it is not as durable as there black plastic casings. I like the size of the palette though as it is not too thick or bulky in length and width. 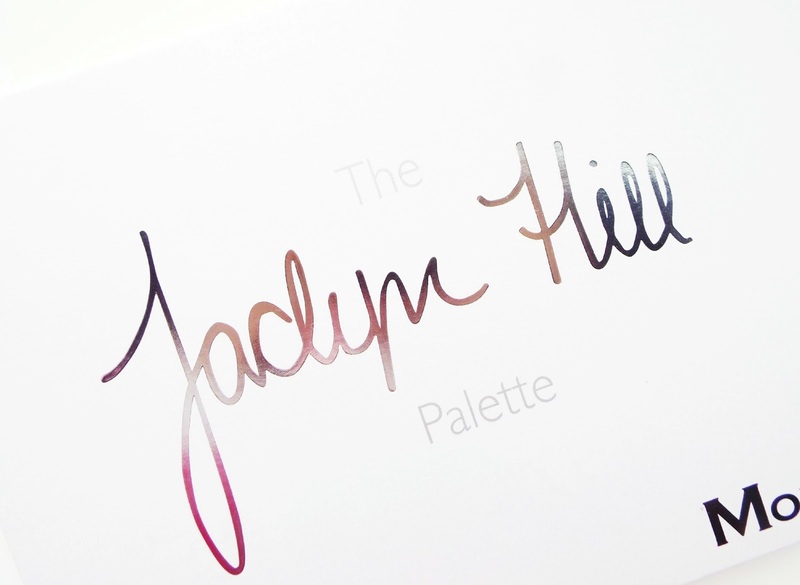 The palette contains 35 palettes which is a-m-a-z-i-n-g, as most palettes contain 12-15 shades. It is no lie that I am fond of warm golden and coppery shades, they are my ultimate go-to. What I love the most about this palette is there are around 10 shades which would be my usual go to shades. However, she has added some yellow and pinker undertone shadows to spice up the palette. On the left hand size she has also put in 5 green, blue and purple tones shades and I love that. She has added some versatility to the palette, and it isn't just the good old classic golden warmed toned palette. There are 17 matte shades in this palette, and the others are a mix of shimmer and metallic shades. 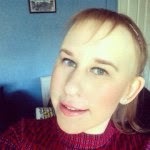 I feel that Jaclyn has got this bob on and has a really got a great mix of textures in the palette. The most important aspect of any product is how good it performs. All the shadows have a dreamy creamy, easy to blend consistency. They are all highly pigmented and are one swipe shadows. 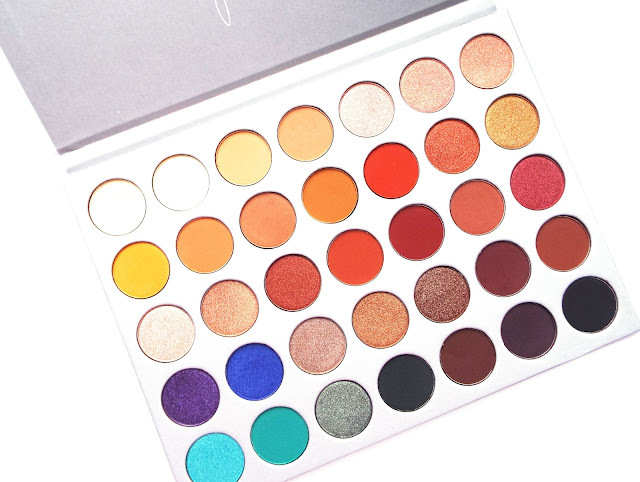 The metallic shadows are must ultimate favourite especially firework (6th on the second row), queen (7th on the second row) and cranapple (7th on the third row). This came with a plastic sheet which had all the shadow names on, and this is a little bit annoying as it is super easy to loose. It would have been much better to have the shade names printed underneath each shadow. The only negative thing I have to say about the shadows performance is a few of the shimmer shades have quite a bit of fall out, so I have learnt take a little bit and build it up so I don't end up with it all over my face! This palette cost £37 from Beautybay and is finally back in stock after so long. It took me so long to get my hands on it and I managed to get it in BeautyBay's first launch which was actually quite a few months after the initial USA launch. 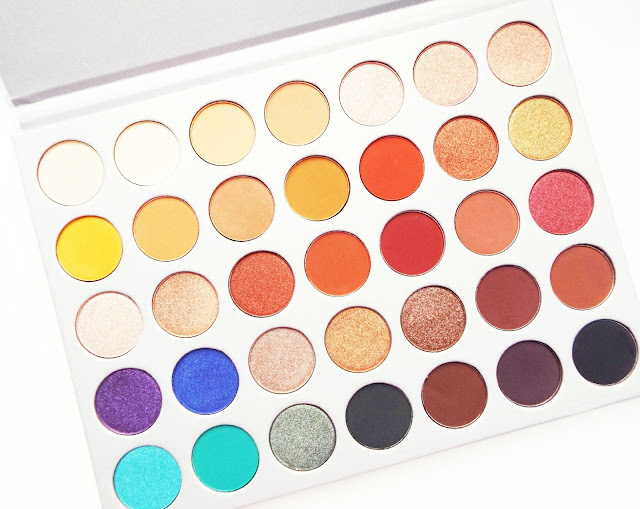 There was a little bit of controversy regarding the price of the palette as Morphe's other 35 shade palettes cost just £23. I totally get why consumers are a little sceptical about the added £14 difference. I understand that this is a limited edition palette, and also BeautyBay have to pay more for the import on these palettes. However, in the USA it is the same pricing, the Jaclyn Hill palette is $38 and their other palettes are $23. Overall, I think this palette is still worth the £37, and I think that Morphe and Jaclyn have created a unique palette which is different from anything else on the market right now. I don't often say I would whole heartedly recommend a product, but this palette is great and brilliant if you want something which you can travel with and has a vast shade range. 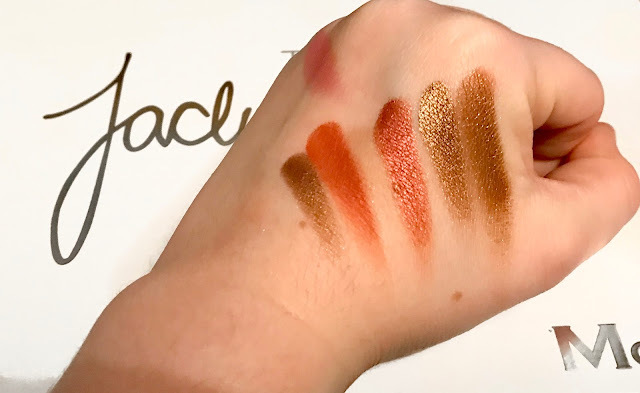 All hail Jaclyn and her dreamy palette!